Let me to introduce to you my chums: Fred, whom we call "Bubo" was born May 6 2004. Betinka, called "Cica" was born on May 28 2005. Cica (left) and Bubo: "Hey guys, what's goin' down?" To be honest, we did buy Cica just to keep Bubo company - during the few hours they are awake, that is. 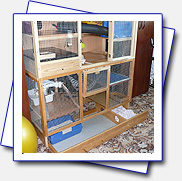 Our ferrets sleep twenty hours a day and twenty-two in the winter. 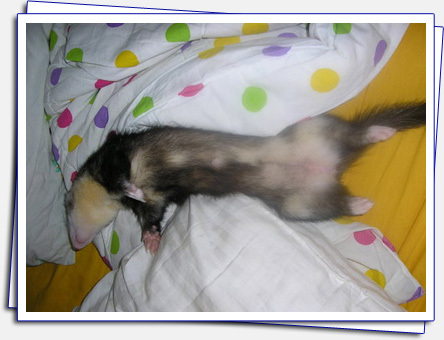 Cica in pleasant dreams - lady-like sleeping style for ferrets. 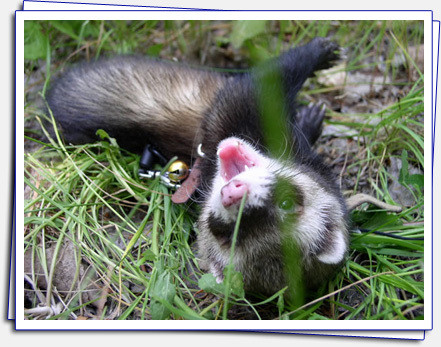 That is why ferrets make excellent pets for people with long working hours. Yet, I must warn you, once they are up you wont be able to sit down and stop laughing. Bubo: "Boo - do I know you?" My husband taught them to beg "please". 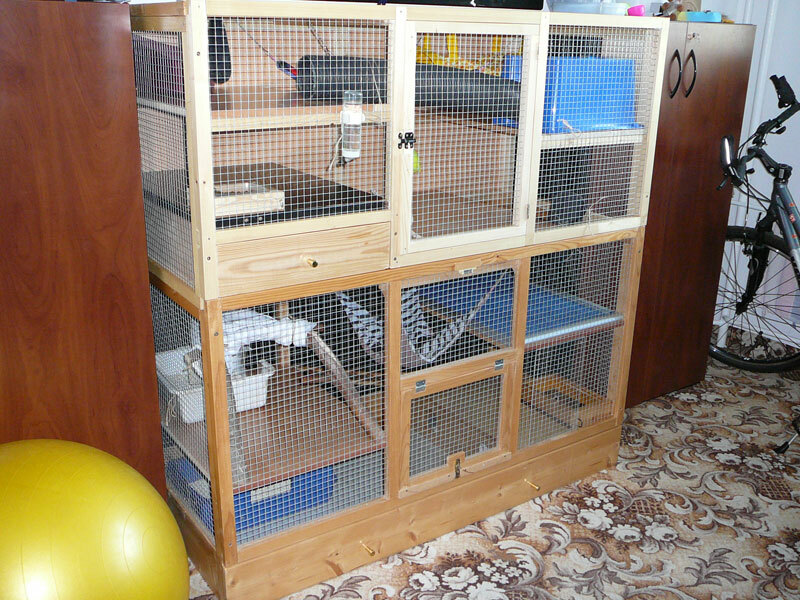 And, when they do in the morning, we let them out of their cage. 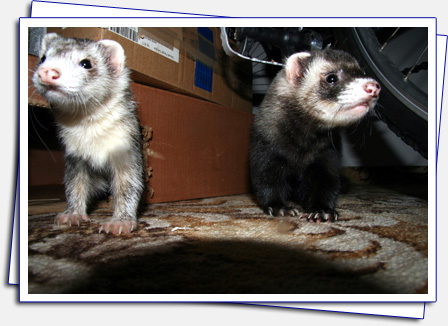 They exit it bullet-like and for some time, mere streaks of brown fur are seen between kitchen and their own room. At incredible speeds cucumbers and bell peppers are transported to and fro. 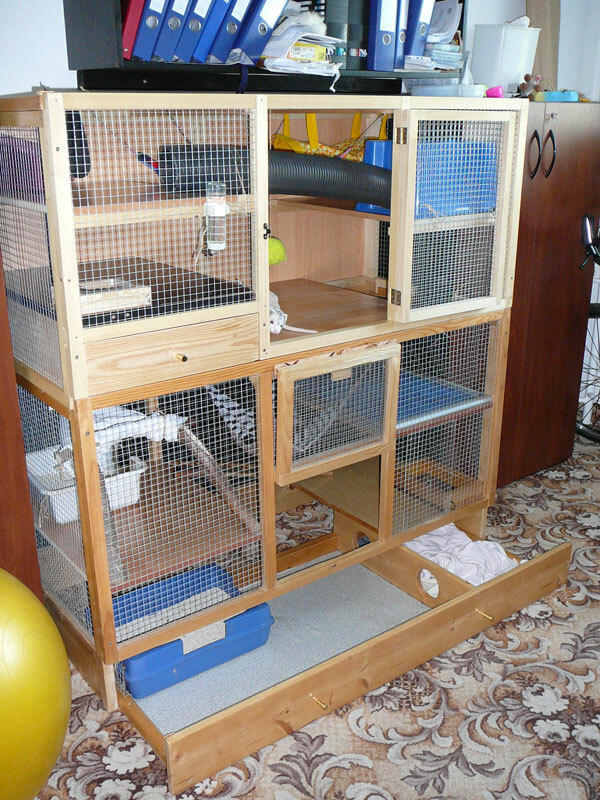 Should you consider getting ferrets for yourself, you might just as well get rid of your TV. 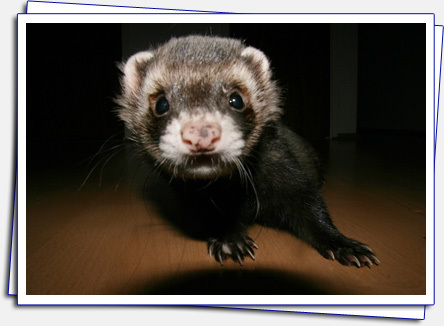 Ferrets are so involving and comical, no other home entertainment is required, or even possible. In the summer, for example, a tub with water and a blanket are good for hours of amusement. However, things don't always play out so smoothly. Bubo frequently chases Cica, grabs her, dragging her behind him into another room. After a few meters of sliding she will realize her predicament and begins to fight back fiercely. Quickly the party extends across the whole terrain. To watch this idly is not recommended for the faint-hearted, believe you me. 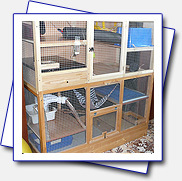 Our ferrets are not restricted to our home. We take them along when we go vacation. Posh Betinka does not set foot on foreign soil. She must be carried along in a special bag which we can carry comfortably or hide under a jacket. Bubo on the other hand is a daring explorer and will walk by himself most anywhere. That is not too far, however for, his tiny feet can only carry him a certain distance until he becomes too exhausted to walk. Bubo: "I'm tired, please carry me!" 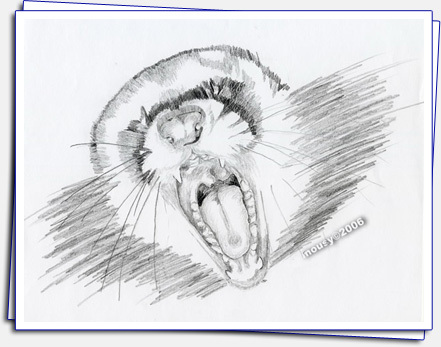 While they tend not to hold still for portraits, Katarina finds, ferrets make excellent art models.